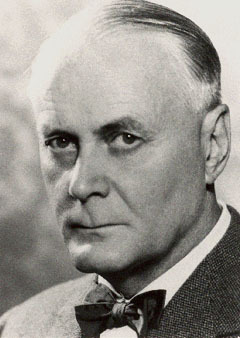 For his research into the internal electrical impulses that take place as the eye processes vision, Ragnar Granit was awarded the 1967 Nobel Prize in Medicine or Physiology. The honor was shared with Haldan K. Hartline and George Wald. Granit was born in Finland, obtained dual citizenship with Sweden during World War II, and once said that his Nobel Prize "belongs fifty-fifty to Finland and Sweden".